USAMobileOffices.com makes it easy to find a high quality mobile office, office trailer, or portable classroom, while saving you both time and money at the same time. Whether you are looking to find a used mobile for sale that has ADA access ramps and air conditioning installed for your construction project in Los Angeles, or you need to get a portable classroom delivered and installed at your school in New York before the next school year starts, USAMobileOffices.com can help. When you buy or rent a mobile office from USAMobileOffices.com you know that you will be getting a high quality mobile office, low prices, and the best possible customer service. Save Time Searching For Mobile Offices - you can quickly find the top mobile office companies in your area right here on USAMobileOffices. No need to spend hours searching on-line or through large phonebooks. Save Money - when you compare prices on mobile offices from a few of the trusted local suppliers that USAMobileOffices.com partners with, you'll end up getting a much better rate. Better Customer Service - USAMobileOffices.com only works with the top local companies in your area. We take customer service seriously, and make sure that all of our local providers are offering a great customer experience. Modular buildings or prefabricated buildings are built in a warehouse and assembled at the location. 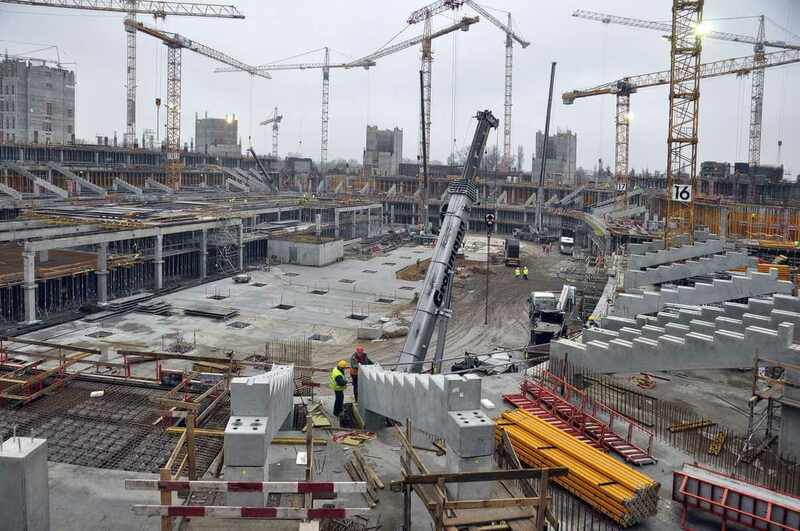 The advantage of this type of building is that it typically only requires a few workers to assemble the structures, and it only takes a few days (compared to months with standard buildings). Modular offices and complexes are becoming more popular every day due to low prices and fast construction. 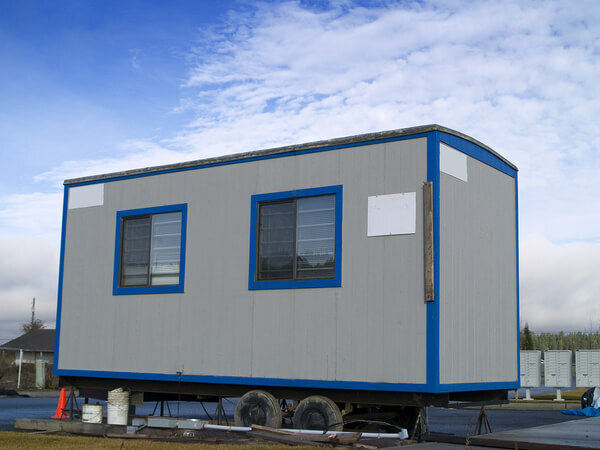 Office trailers can be seen at various construction sites (they are often referred to as construction trailers). They can range in size from 8 ft x 12 ft all the way up to 64 ft in length. Office trailers are popular because they are low cost, easy to transport, and typically don't require installation fees as they can rest on their wheels or chassis. Portable classrooms can be seen throughout schools and churches throughout the United States. Portable classrooms are popular because its much cheaper, faster, and more flexible to use compared to constructing a standard building. 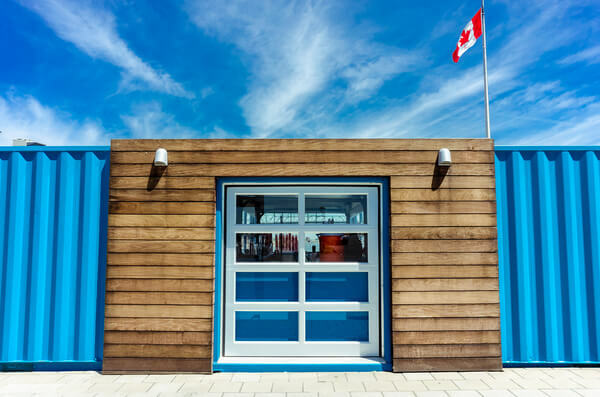 Portable classrooms can range from as small as 12 ft x 12 ft to as large as 64 ft x 64 ft.
Steel buildings are used for tons of different uses from garages, and airplane hangars to storage facilities and farm houses. Steel buildings are known for their durability, quick assembly, easy maintenance and great warranty options. How Much Do Mobile Offices Cost? Mobile offices can range anywhere from $5,000 for a small used mobile office trailer to more than $50,000 for a custom built modular building. Keep in mind that many companies will quote you the price of the office, but not always the price of delivery and installation. You will most likely need a permit to put a mobile office on your property. This depends on your local city rules and regulations, which many local companies take care of for you, or they will let you know what steps you need to take in order to secure a permit. Do You Offer Mobile Offices With Storage? Yes, mobile offices that have built in storage are very common and are offered throughout the United States. These are very common on construction sites as it can not only save space by combining two products into one, but it can also help you keep costs down. Do I Need to Put a Deposit on a Mobile Office? You will most likely need to put down a deposit to rent or lease a portable office. This varies company to company, but 90% of the time you will be required to put money down upfront to get an office.